Just enter the domain name you want and click on the “Check Availability” button. After you purchase a dental website marketing domain name, you can go to the “Customize Portals” section to give the website its own live URL. Or you can go to the “Redirected Domains” area, where you can redirect website visitors from your new URL to one of your existing dental practice websites. In the “Purchase Domains” area of the “Domain Ownership” section, you can quickly and easily purchase additional domain names. To see if a domain is available, type in the domain name you want. Don’t forget to add the “.com” on the end – then click the “Check Availability” button. The Control Panel will let you know if that URL is available or not. If it is, all you have to do is click “Purchase” to buy the domain name. Additional domain names only cost you $10 a year and will automatically be billed to your account. Once you’ve purchased a new domain name, you can click “Domain Ownership” and see it listed with the other domains you own. Click the button next to any domain to get a full list of technical details. So then what do you do with your new domain name? Well, you can go to the “Customize Portals” section to see all of your websites. If any of these sites aren’t yet live on the Internet, you can click “Assign Domain Name” to give the website its own live URL. Or you might go to the “Redirected Domains” area of the “Domain Ownership” section. Click “New Redirected Domain.” First, select the new domain name you just bought. Then, specify which of your websites you would like people to be redirected to. Click “Redirect,” and the system will automatically redirect everything. 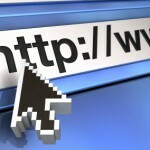 Anyone who goes to the new domain URL will instantly be redirected to your other website. This lets you increase your web presence with multiple domains without having to add a separate website for each.